December 5 of each year. If a due date falls on a Saturday, Sunday, or legal holiday, the due date is extended to the next succeeding business day. What Vehicles are Subject to the Personal Property Tax? All vehicles that are owned in the City on January 1 are subject to personal property tax. What Vehicles are Not Subject to the Personal Property Tax? Any vehicle purchased after January 1 of the tax year. Is the Personal Property Tax Pro-Rated? No, vehicles owned on January 1 in Harrisonburg will be taxed for the full year. Does My Vehicle Qualify for Car Tax Relief? Important changes for tax year 2017: Effective July 1, 2016, the Virginia General Assembly changed the registration requirements for personal use trucks with a gross weight between 7,501 and 10,000 pounds. The registration on these vehicles must be reclassified as pickups and have standard license plates not truck license plates. Once the truck is reclassified and is used less than 50% for business it will qualify for tax relief starting tax year 2017. The Commonwealth of Virginia provides funding for tax relief for passenger car, motorcycles, and pickup or panel trucks having a registered gross weight of less than 7,501 pounds. To qualify, a vehicle must be owned by an individual or leased by an individual under a contract requiring the individuals to pay the personal property tax; AND be used less than 50% for business purposes. Motor homes, trailers and farm use vehicles do not qualify for tax relief. Do I Need a City Decal? 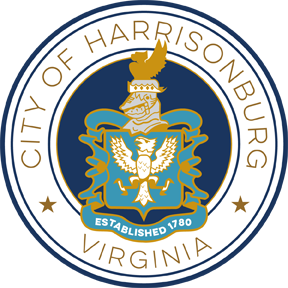 No, the City of Harrisonburg does not require a decal, however, a vehicle license fee for the upcoming year will be added to the current year personal property bill. The real estate tax rate is subject to change annually. To find the current rate, visit the Real Estate Tax page. When is the Real Estate Tax Bill Due? Real Estate taxes are calculated on a fiscal year basis and are billed twice a year. The first half is due December 5th and the second half is due June 5th. Is There Any Tax Break for the Elderly or Disabled? There is a tax break for anybody over the age of 65 or permanently disabled with a gross income not to exceed $30,000 and a net worth not to exceed $75,000. Applications must be filed by May 1 prior to the fiscal year for which the exemption is requested. The title to the property for which exemption is claimed by the person must be held on July 1 of the taxable year by the person or persons claiming exemption. More information. Why is the Real Estate Tax Bill Not in My Name? The City is on a fiscal year. Whoever owns the property as of July 1 of that fiscal year will stay in that name until the next July. The new owner is responsible for the tax bills so the Real Estate Office tries to send the tax bills in c/o the new owner. Does the City Have Tax Breaks for Homes? The City has partial exemption from taxation for rehabilitated, renovated or replaced real estate. The property has to be located within the B-1 Central Business District. The partial exemption from taxation shall commence on July 1 of the year following the final inspection and shall run with the real estate for a period of no longer than five years. The exemption is equal to the difference between the assessed base value established at the initial inspection before the rehabilitation, renovation or replacement and the final assessed value. Does the City Have Land Use? Land may be eligible for special valuation and assessment when it is used for agricultural, horticultural, forest or open space. You need to have at least five acres or more. Forest needs at least 20 acres. The applicant must furnish, upon request of the local assessing officer, proof of all prerequisites to use valuation and assessment, such as proof of ownership, description, areas, uses, and production. Any change in acres, zoning or change in use will be subject to a five year roll back tax.